Soil organic matter (SOM) plays an important role in terrestrial ecosystems and agroecosystems. Changes in the agricultural sector in the Czech Republic within the past 25 years have had a negative impact on SOM content and contribute to gradual soil degradation. The aim of this study is to estimate the effect of long-term application of different mineral fertilizers (NPK) and organic manures (manure, cattle slurry) on soil chemical properties (quality of humus, available nutrients, and soil reaction). Soil samples were collected from Luvisol during two selected periods 1994–2003 and 2014–2016 from long-term field experiment carried out in Prague-Ruzyně (Czech Republic). Average annual temperature is 8.5 °C, and annual precipitations are 485 mm. Different fertilization regimes have been applied for 62 years. The crop rotation was as follows: cereals (45%), root crops (33%) and legumes (22%). Soil analysis—soil organic carbon (SOC) was determined by oxidimetric titration method. Short fractionation method for evaluation of humic substance (HS), humic acid (HA) and fulvic acid (FA) content was used. Absorbance of HS in UV-VIS spectral range was measured by Varian Carry 50 Probe UV-VIS spectrometer. Degree of humification (DH) and color index (Q4/6) were calculated from fractional composition data. Soil reaction was measured by potentiometric method. Available nutrients (phosphorus, potassium, magnesium, calcium) were determined by Mehlich II and Mehlich I methods and by ICP-OES. For data analysis, the following are used: exploratory data analysis, ANOVA, and principal component analysis (PCA). PCA analysis differentiated fertilizers into two categories: (1) variant NPK (lower quality of humus)—higher acidity, lower SOC and HS content, predomination of FA, higher DH and lower content of available nutrients; (2) variants with organic manures (higher quality of humus)—lower acidity, higher SOC and HS content, predomination of HA, middle DH, and high content of available nutrients. The main result of presented study is to give a synthesis of effect of different type of fertilizers on a sustainable organic matter management in arable soils, with respect to yields, food security and adaptation to predict climate changes. 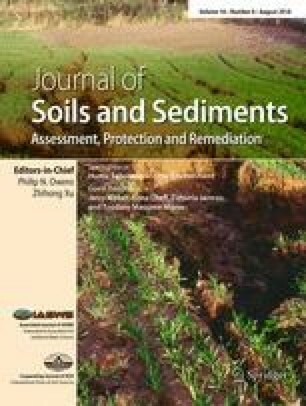 Long-term application of mineral fertilizers (NPK) without organic matter input can accelerate humus mineralization and soil quality degradation with all negative consequences such as (nitrogen leaching, higher availability of toxic element for plants, slow energy for soil microorganisms etc.). Application of organic fertilizers (manure and cattle slurry) helps to achieve the long-term stable yields while maintaining soil at optimum quality (long-term sustainable management with SOM). Principal component analysis is a useful tool for evaluation of soil quality changes. This paper is supported by the Ministry of Agriculture of the Czech Republic project ČR-RO0417, by H2020-SFS-2015-2 no. 677407 “SOILCARE” and by Czech Agricultural Agency NAZV QK1810233.